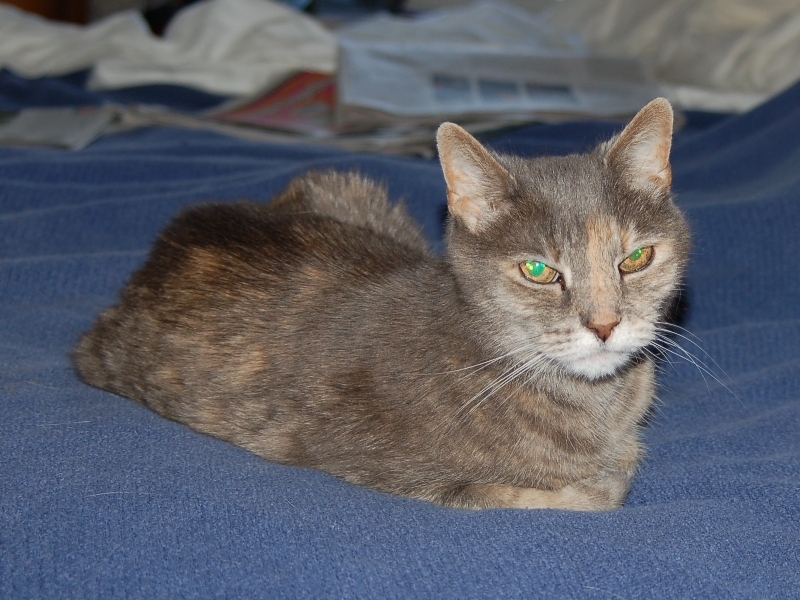 The single most important event at our kitten farm this past year was the passing of her Emilyness. But we have our memories of her, and of course photographs such as her relaxing on the bed during her final springtime with us. Rest well, our elder kitten.